Kyrgyz-Russian Slavic University was founded in 1993 in accordance with The Warsaw Treaty of Friendship, Cooperation and Mutual Assistance between the Kyrgyz Republic and the Russian Federation (signed on 10.06.1992, Moscow, Russia). Due to The Decree of the Kyrgyz Republic President (signed on 28.09.1992, Bishkek, Kyrgyz Republic), the Terms of Establishment and Activities Agreement of Kyrgyz-Russian Slavic University between the Government of the Kyrgyz Republic and the Russian Federation (09.09.1993), the Government Regulation of the Russian Federation (No.143, signed on 23.02.1994, Moscow), the order of the State Committee of the Russian Federation for Higher Education No. 326-128/1 (14.02.1994) and the Ministry of Education and Science of the Kyrgyz Republic, Kyrgyz-Russian Slavic University was established. Since its establishment, the university has been cooperating with the Yeltsin Foundation that remains a trusted partner up to the present day. The foundation has been providing financial support to the university such as grants for 50 best students, provision with modern learning equipments as well as financial support with the Internet access of the whole university. In addition, the Yeltsin Foundation has supported various schools and university conducting academic competitions of Russian Language, international research and practice conferences on maintaining positive integrated learning environment within the CIS countries. 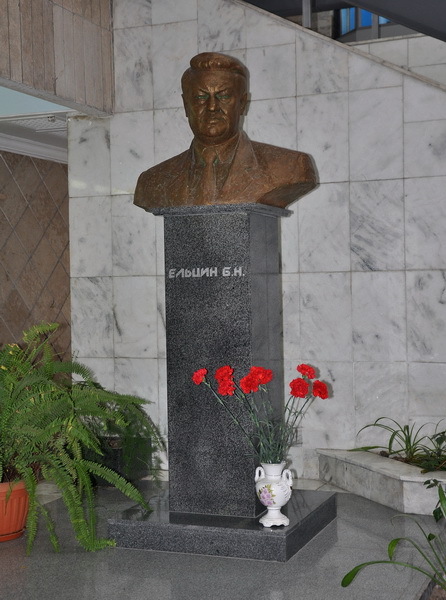 In 2004 by the decree of the Kyrgyz Republic President, the university was given a name of the First President of Russian Federation Boris Nikolayevich Yeltsin as a sign of appreciation and respect for enormous support and encouragement in establishing the Kyrgyz-Russian Slavic University. Imparting the best knowledge in humanitarian, economic, legal, natural and technical fronts as well as introducing the best technical and scientific capabilities of Kyrgyzstan and Russia is the main mission of the Kyrgyz-Russian Slavic University. The high quality of teaching and learning resourses and the advanced research and training facilities have set the Kyrgyz Russian Slavic University apart. Kyrgyz-Russian Slavic University has 8 faculties, 80 academic departments, 6 research centers, 15 scientific and educational centers, 4 laboratories, a law center, a medical center, and 25 institutes of students’ aesthetic education. The university is highly proud with its 1973 distinguished and dedicated academic and research staff (106 of them are doctoral candidates and 353 with PhD degree) and a total number of more than 11000 students, including more than 780 foreign students from near and far abroad countries, and about 450 postgraduate and doctoral candidates. Academic programmes of study are based on advanced standards for higher education of both the Russian Federation and the Kyrgyz Republic aimed at training highly-skilled specialists, who are able to work successfully in the CIS and abroad. Academic plans are approved by the Ministry of Education and Science of the Kyrgyz Republic. Along with traditional Specialist Degree programmes (5 years), the university offers Bachelor's Degree (4 years) and Master's Degree (2 years) programmes as well as postgraduate (Candidate of Science) and doctoral (Doctor of Science) degree programmes. The medium of instruction at KRSU is Russian. It is also noteworthy that KRSU graduates get diplomas of two states - the Russian Federation and the Kyrgyz Republic. If you are interested in the curriculum of a particular programme of study, please use the websites of the faculties. 80 academic departments, 6 research institutes of (Regional slavonic studies, Gender politics, World cultures and religion, Communications and IT, Strategic insight and forecasting hold scientific research. Moreover 15 research centers such as: Data research center, Research innovative centre of "New technologies and materials", UN population centre, Data computer centre and 4 fundamental research laboratories of (geomatics, explosion physics, geophysical monitoring and lighting technology) are responsible for accomplishment of scientific research. 2 UNESCO academic departments were established in international and law faculties. The Kyrgyz-Russian Slavic University recognizes research and research-led teaching as primary responsibility of its academic staff, and places great value on fostering, publishing and disseminating research of the highest international quality. Research topics being investigated at the university are very diverse and include economics, engineering, law,political science, medical science, international relations, architecture and others. The university has brought up a pleiad of eminent scientists and scholars in natural sciences, engineering, medical-biological, socio-economic and humanitarian sciences over the years. This is confirmed by the large range of Doctorate and PhD dissertations defended as well as publications and books produced each year. Many research articles are published in refereed journals which are produced annually. Awards and distinctions are also regularly achieved by the academic-research staff of the university. Postgraduate students (PhD and Doctoral) also make significant contributions to the Kyrgyz-Russian Slavic University’s research activities while studying for higher degrees. During 2008-2011, more than 200 academic staff and students have undergone internship and/or exchange studies programmes at universities of Germany, UK, USA, Italy, etc. 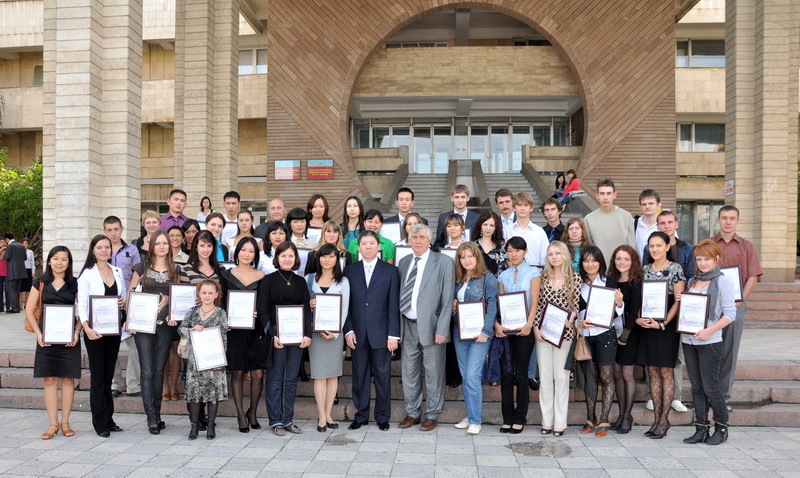 Over 100 international students from Kazakhstan, Uzbekistan, Republic of Belarus, India, Pakistan, Israel, China, South Korea study at KRSU and contribute to the social and academic life of the university. Courses are taught by lecturers from Germany, China, Switzerland, Japan, France and etc.